If your website uses PHP or you need to hold a collection of records which need to be accessed for parts of your website to work, you will need to create a database. 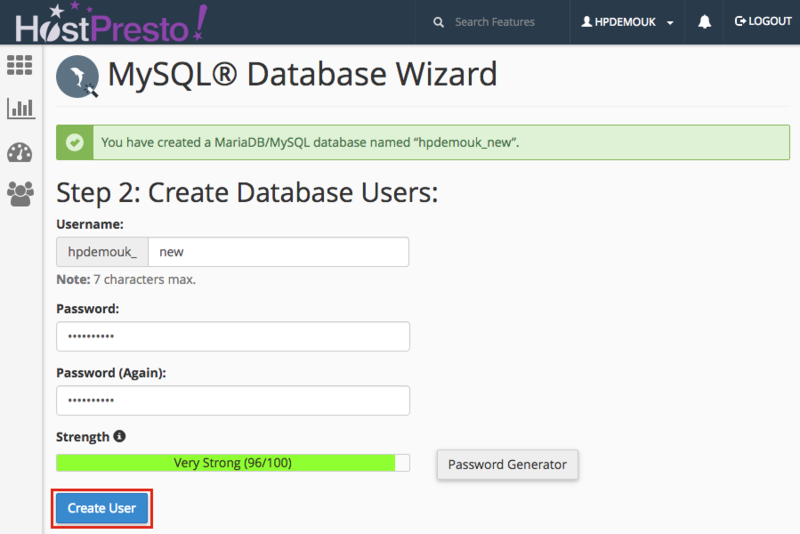 Scroll down to the 'Databases' section and choose 'MySQL Database Wizard'. 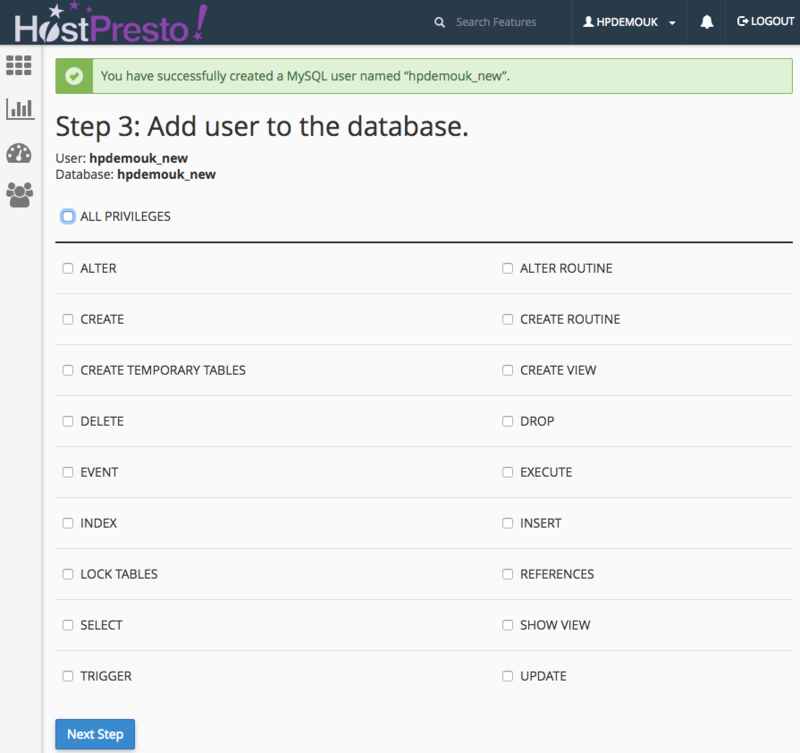 The first step is to write in a database name where 'New Database' is shown. This name will be prefixed on the end of your account name. Select 'Next Step' button to continue. 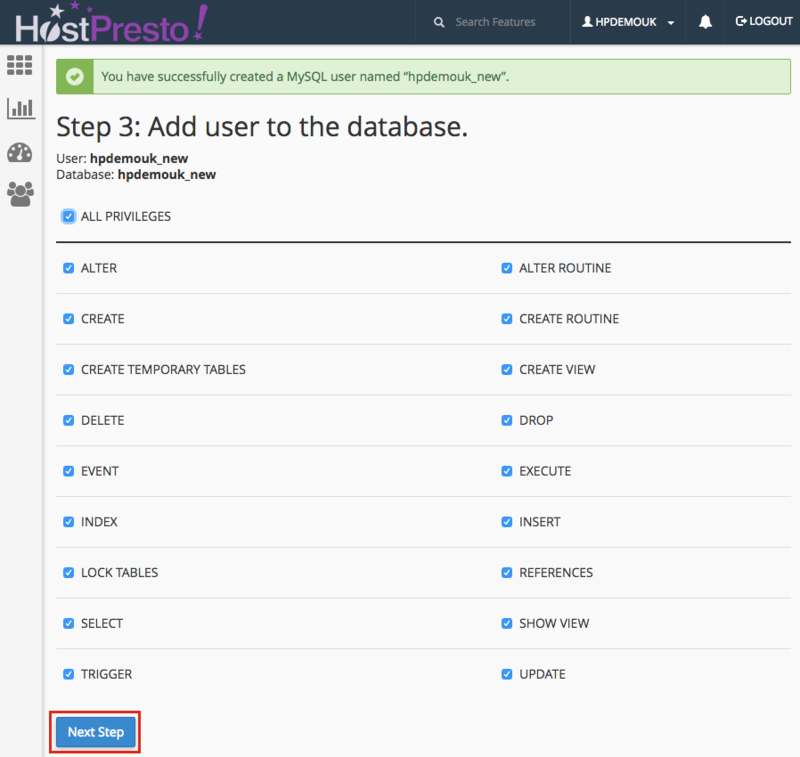 You now need to set up a database username and password. Username - the username for the database user. Password - password for the database user. You can take advantage of the 'Password Generator' option if this helps. Password (Again) - repeat of the password. You may wish to note down your database name, the database username and password. Once the database user information has been completed, select 'Create User' button to proceed. You now need to choose the database user privileges according to your requirements (usually 'all privileges'). Once the privileges have been set, choose 'Next Step' to complete the process. You will now see visual confirmation that the database has been created. 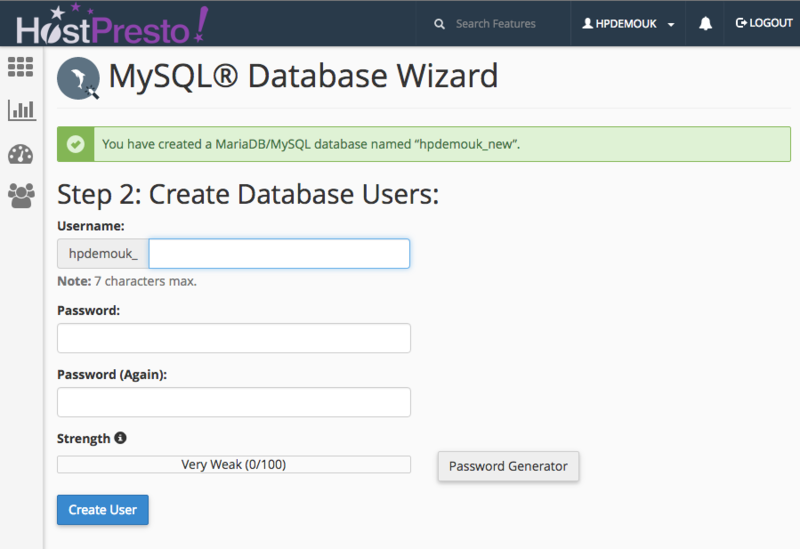 Creating a MySQL database is now complete.